We are so happy and proud to introduce a new line of clay pottery. For years we have been working with the most well know and highest qualify clay manufacturer in Italy. 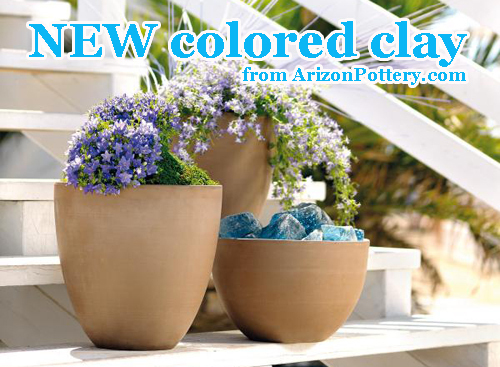 This year they have introduced a new line of clay pottery that is made with colors not normally seen in garden pottery. New styles and size add to the excitement we feel when presenting this line to our customers. Just look at the photos below to see these wonderful new clays! Graffite is a light shade of grey. Perfect for a contemporary setting where you want something unique instead of the red clay you see at every garden center. 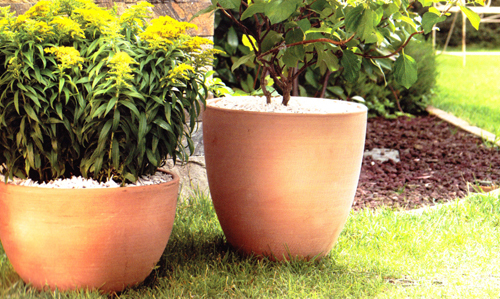 These planters are frost resistant, made of eco-friendly materials. We introduce new styles and sizes all done in this stunning graffite color. Moka clay: This chocolate brown clay is very different and a best seller already. Moka lends itself to a traditional and contemporary setting. Its rich color is a great compliment to any green plant or group of colorful flowers. 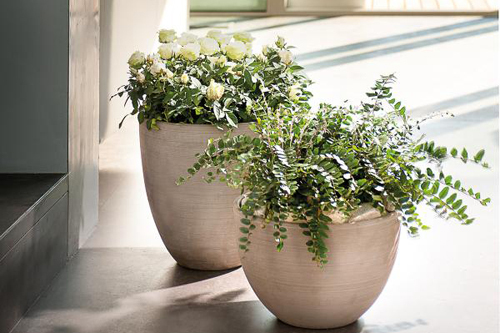 This line of planters come in rectangles, squares, and standard shapes. 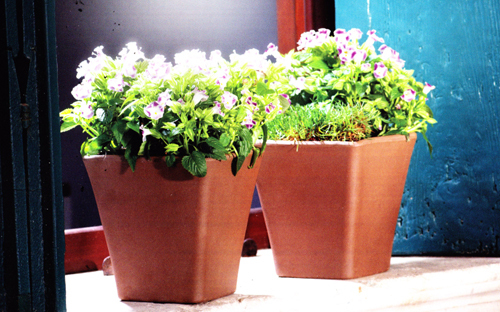 Eco-friendly and frost resistant makes these a superior product for planters. White terracotta: Have you ever heard of this? It's a clay that is much lighter than the typical red clay terracotta but still have the same color hues. New styles and sizes in this line make it even more exciting. Eco-friendly and frost resistant also makes them in high demand. Read more..... 10 remedies for the container blues. Read more..... Grown your own edible flowers.